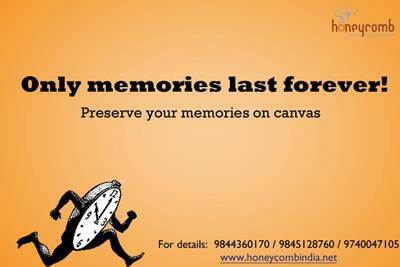 Honeycomb Creative Support Pvt Ltd is one of the Canvas-printing destination in Bangalore, is the most preferred partner of many renowned photography enthusiasts for archival printing solutions. Our experience and capabilities in the printing media help bring the artistâ€™s vision to life more efficiently. We have best quality equipment for the photo medias and canvas printing services.